Gionee today announced the flagship Smartphone of its ELIFE series, the Gionee ELIFE E6. Gionee Elife E6 is powered by a 1.5GHz quad-core ARM Cortex A7 CPU and a PowerVR SGX544MP GPU. It has a 5.0-inch AMOLED display with full HD screen resolution. The screen has a 441 ppi and employs OGS technology. The Gionee Elife E6 will come with a 13 megapixel rear camera and a 5MP front camera. Its 5MP front-facing camera comes with 12 levels of auto beauty effects, object tracing focus, instant facial beauty support and more. “With its intuitive and user interface, we have developed the ELIFE E6 with the customers’ interest at heart. Supplying what is truly important to them in terms of quality, performance and affordability – all in a stylish and sophisticated design.” said William Lu, Vice President of Gionee Communication. The Gionee Elife E6 is powered by a non-removable (as it has a unibody construction device) 2020 mAH battery. It has 32 GB internal memory along with 2 GB of RAM. It sports a really slim profile with dimensions of 144 x 69 x7.7mm. It runs on Android 4.2.1 Jelly Bean. The Gionee Elife E6 also comes with a bunch of gesture support features, the details of which can be found in the press release below. The Gionee Elife E6 would be available in India, Nigeria, and Vietnam after August 2013, but pricing has not been announced yet. Let users enjoy easy life to the fullest by providing a rich experience without the fear of complicated technology. Beijing, China – July 10, 2013: GIONEE, a global leader in mobile manufacturing and design, today announced the flagship Smartphone of its ELIFE series, the ELIFE E6. Following in the footsteps of the ELIFE series models, ELIFE E6 is designed specifically to bring stronger performances and increased user friendliness to exceed the needs of its users across the globe. As the world’s first White OGS phone, its 2.54mm narrow edge and 6.18mm thin miniature size allows it to slide comfortably into your pockets. Powered with a 1.5GHz quad-core processor combined with a 5.0” FULL HD 1080P Retina Display, ELIFE E6 is designed to enhance the life styles of mobile phone users across the world, regardless of whether you are a multitasking working class or graphic-intense gamer. Containing a Memory of 31 GB + 2GB, a non-removable 2020mAh Battery and weighing only 128g, it is the balance of performance and convenience. ELIFE E6 boasts an industry-leading 13MP rear-end camera, 5MP front-facing camera, and modified Android ROM software, allowing users to quickly and easily capture high quality images and videos. A slim phone with a mass array of features and functions, Gionee’s ELIFE E6 has increased the standards of smart phones for the middle class at a highly competitive price range. 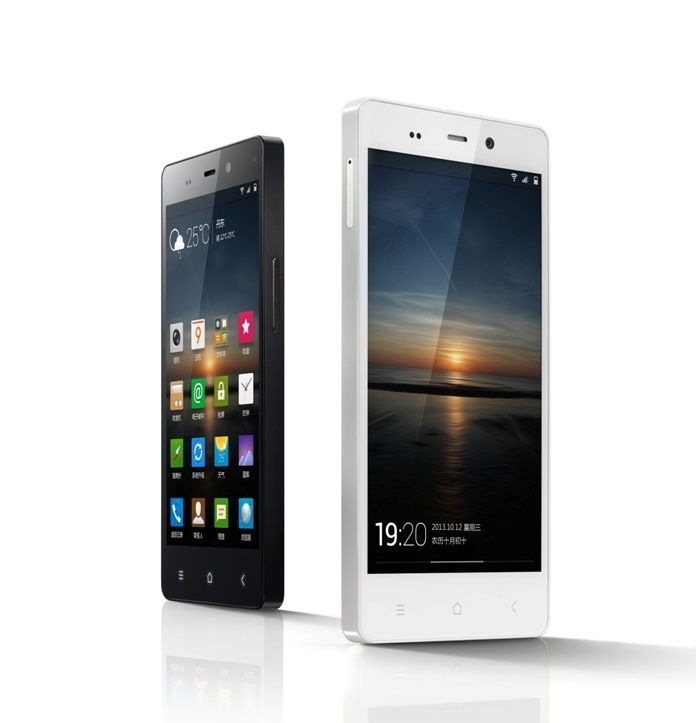 ELIFE E6’s innovative design features an unibody exterior in Pearl White and Stunning Black. Its sleek and clean surface brings out the elegance behind its revolutionary design concept. Manufactured by a combination of Computerized Numerical Control Technology and Hand-polished craftsmen, ELIFE E6 brings you the precision of a machine and the delicacy of Hand Craftsmanship. ELIFE E6’s innovative camera technology redefines how photos are meant to be captured. Forget about dragging a camera around for high quality photos and videos. With the goal to make life better through technology, ELIFE E6’s camera sports the second generation of Backside Illumination Technology, antireflection coatings, anti-fingerprint film and finishes off with 5 layers of blue glasses, giving it its powerful 13MP rear-end camera for ease of picture taking and 1080P full HD video recording. Its 5MP front-facing camera comes with 12 levels of auto beauty effects, object tracing focus, instant facial beauty support and more; providing its user with Photoshop-polished photos with just a smile. Realizing the frustration that comes with capturing the moments in life, ELIFE E6 features numerous options to make the photographer’s life easier. It’s perfectly hand-polished sides enable ELIFE E6 to stand up by itself to take group shots. Never again will someone be left out of group shot or risk a stranger running off with your photo. Enabling the camera to take multiple shots at once and allowing the user to pick the best faces and combine them into one picture. ELIFE E6’s DTS 3D stereo surround sound provides users with movie theater quality music, allowing users to listen to the music as it should sound from the artists’ point of view. ELIFE E6’s HST enables the system to synchronously wake up applications every ten minutes, thus reducing the number of applications wake ups and drastically increases power consumption. In addition, the system automatically sets a white list ensuring essential applications to be waken up at any time. Stay goodbye to touch screens. Welcome to the world of Motion Sensing Technology in the palm of your own hands. 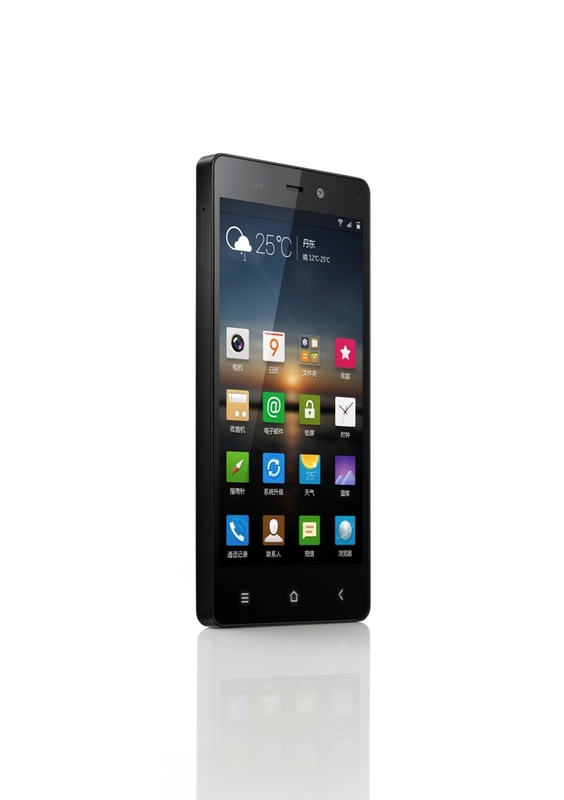 The GIONEE ELIFE E6 is available in black, white with matching color cases. ELIFE E6 will be available in China from Mid July 2013 with suggested retail price at CNY2699 and will be available in India, Nigeria, and Vietnam after August 2013.